Monday February 25, 2019 - Female Cabinet Secretaries are among the best performing CSs in the Jubilee administration. 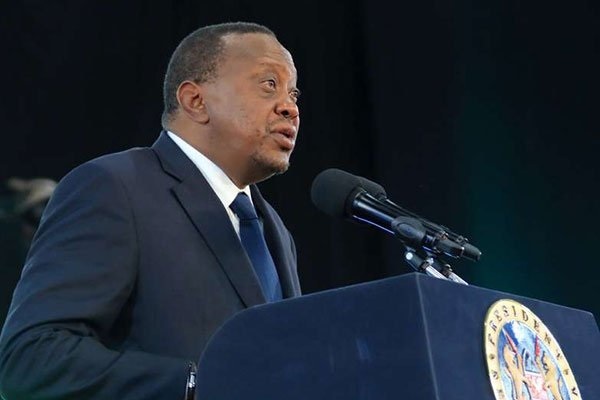 This is according to President Uhuru Kenyatta who expressed his admiration for the work of female Cabinet Secretaries - terming them as among the best performing in his Government. Speaking at State House during celebrations marking World Thinking Day, the Head of State applauded the female CSs, who are five in number, for their excellent service delivery to the people of Kenya. "I pray to God and look forward to the day that I shall be sitting and listening to the first female President addressing the people of the Republic of Kenya," Uhuru stated. The 5 female CSs are Farida Karoney (Lands), Monica Juma (Foreign Affairs), Margaret Kobia (Public Service, Youth and Gender Affairs), Amina Mohamed (Education) and Sicily Kariuki (Health). are you high on something to the extent you only see those ladies as the best in your satanic regime that are delivering your abyss manifesto policies that your legacy. Wake up and see the light vampire.